Ah, free books, the always controversial topic that frequently pops up in discussions among authors and publishers. It seems they are often seen as the greatest evil professional writers have ever faced. Unfortunately, a recent discussion I participated in is keeping this ignorant, fearful tradition alive and well. Recently, a Linkedin author group I am subscribed presented a post made months before I joined the group, and yet was still being discussed. It sat at around 1,800 responses and still climbing. The original poster essentially put out a call to the group’s other authors to stop giving away free books (or e-books, more to the point.) Their argument was that there were so many free books available that potential customers download everything in sight and don’t need to buy anything. He called for authors to stop giving away free books because doing so was ruining everyone else’s ability to make money in competition with the deluge. This gent — like so many authors who think as he does –just doesn’t get it. Let’s talk about why some authors give away free books en masse to begin with. Those who do likely believe they will expand their readership. Their hope is doing so will expand their pool of potential customers of their other products. This usually doesn’t happen organically, however. An additional “hook” is likely required. Offering free books is such a widely used ploy, so the person who started this particular conversation was correct in one regard. People do tend to download everything they can in line with their reading tastes. Many acquire far more content than they will ever possibly read. As a result, most free e-books end up sitting on the downloader’s virtual shelf, never to be read, forever a wasted opportunity. But let’s get something straight: this is not the downloader’s fault. We, the writers and publishers, are offering free books to begin with. Should we hold them to blame for doing precisely what we wanted them to — downloading our free books? No, the people to blame are the authors and publishers giving it away at zero cost. Booya! Who’s bringing the thunder, literary style? “Exactly my point,” I’m certain the original poster of this specific discussion would victoriously proclaim, “Free books equals zero cost, meaning zero profits!” However, he would be wrong, as would the other authors who agreed with him. This is because he would totally be misunderstanding my meaning. When you give something away at zero cost, you can only expect zero return on investment. Any benefits are typically a lucky outcome rather than the results of any effort on your part. And when I talk about “zero costs,” I’m not talking about giving something away for free. You can give away free books or product but still attach a cost to it, just not a monetary one. It is this cost that is the hook that transforms free books from so much flotsam and jetsam in the market into an opportunity to make a sale. It doesn’t help that so many authors are of the opinion that customers are lucky to be able to read their work. They consider their work to be literary perfection that only their skill could have produced. These are the authors editors dread. They cannot take criticism of their writing at all well. Such authors refuse to listen to suggestions or accept flaws or issues with their work. Why? Because their writing is a “craft.” It is an art form and they the artist. To them, marketing is something that “other people” need to do. The magnificence of their product alone will get people talking about their work, which is all they need to make a sale. Right? I have to admit that I had a similar attitude about my writing when I first started out as a professional writer. In my early 20s. Then, as should happen to any writer who wants to make money from their work, I learned differently. I realized I need to be edited. I need someone else to point out my mistakes or where I can improve (gasp!) This doesn’t mean I go along with everything an editor says about my work. However, I’m now far more open to the process and accept it as part of properly doing business. If an author wants to be artiste who doesn’t bother about coming up with a solid marketing strategy (including how to make money from free books), that’s all well and good, but you’ll have to be much better than the majority of other writers out there if you also expect to make any money that way. If you want to make money as an author, you need to come to terms with the fact that you are also a sales person. You need to put aside your bias as a creator and look at your market as an impartial party if you expect to learn how to sell to your potential customer base. That’s not an opinion — it’s the basic facts of being a professional writer versus an artiste. In today’s modern market, learning how to offer free books as a promotional tool and make money from doing so is part of your job as a professional writer. 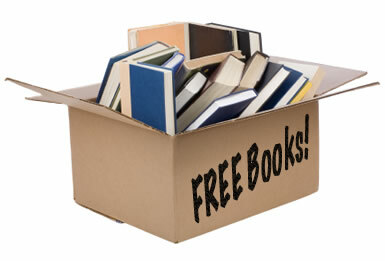 Giving away free books is supposed to be promotional in nature, not altruism. Don’t give anything away for free if you don’t have a carefully thought out, focused plan on how what you’re giving away will grow your readership in a marketable fashion to help make sales. 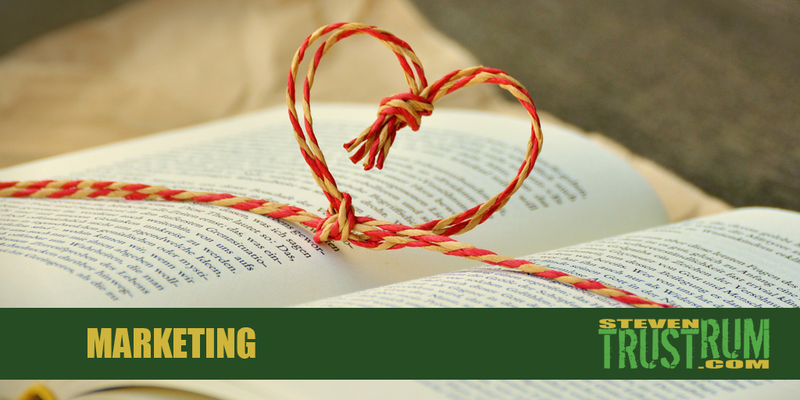 The value of using free books as a marketing tool is especially important if you are self-publishing, an increasingly common choice considering the accessibility of print on demand models and self-publishing e-book markets such as Amazon’s Kindle store. That said, let’s look at some suggestions on how to use free books to make money instead of just bloating everyone’s virtual bookshelf with wasted opportunities. Clearly, if you are giving away free books of everything you publish (or your first book, if you’re a newly published author), you make things very difficult for yourself regarding making money. Don’t give away free books without reason or purpose. If you have a series of two or more related books, release the second for free at some point, even if only temporarily. Anyone grabbing this freebie will only be seeing part of the picture so, if they like what they see, you’ve just provided them with an incentive to go buy the first book, at least, and possibly more. Giving away the first book in a series may seem like the logical choice because it is the starting point for your story, but it actually results in a smaller incentive to buy the rest. Readership of a series tends to drop off after the first book because not everyone will keep reading, so this tactic should always push back to the series’ biggest seller. That means don’t give away your big earner for free. If your sales hub allows for it, try a “pay what you want” option instead of free. This allows a person to pay nothing for your product, if they desire, but it also provides the option for people to pay what they think is a fair rate. Although you should expect most people to go the free books route and not pay anything, you’re still no worse off than if you were planning to give it away for free anyway, and at least this way you have a chance at making some money. There are numerous ways you can use free books to draw people towards the rest of your catalog. You can, for example, include advertising throughout the freebie that points towards your other books. You don’t want to overdo it, though, or you risk souring the reader’s experience, which does not incline them towards giving you money. I frequently also put discount codes into my free books, giving downloaders further incentive to come back and buy product. You can also limit your free books to be downloadable from landing pages that display direct links to your other products, focusing attention on the latter without distraction. (I’ll spend time discussing landing pages in a later blog entry, but for now you can look it up if you don’t know what a proper landing page is, as defined by the marketing perspective.) Landing pages are also useful for building mailing lists and social media followers, which allows you to restrict your provided free books to people who subscribe to the former or follow you via the latter. Regardless of how you choose to do it, dangling freebies in front of a potential customer with a sales pitch directly to follow is a time-tested method that works in just about every consumer industry. There are reasons why you still find people giving away free samples in grocery stores, after all. Providing “free books” does not mean providing product at no cost. Keeping in mind that “cost” does not always mean “money,” there are a variety of costs you can associate with your free books so that people downloading them are earning them. I don’t even necessarily require these promotions point towards other products directly. There is value in simply getting people to spread links to your website across social media considering how much weight such backlinks carry with Google. The more times you can get people to post links to your website on social media, the more likely Google is to consider your website to contain valuable content and index it higher during online searches as a result. The higher you rank during online searches, the more likely potential customers are to find your website, look at your product, and buy something. Don’t offer the same free books or other freebies on every site you sell from. Doing so dilutes their ability to help you sell other products. Mix and match other free books across your different sales hubs to see what works best, so long as you’re not making any of them universally available. You do this because, if possible, you want to focus the traffic the free books bring in, allowing you to maximize how you transform the traffic they draw into sales. 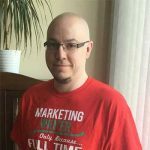 In general, I’ve personally found that keeping the freebies where you are able to generate the most traffic (duh) and have the greatest control over how you can commercialize that traffic (double duh!) is best. In other words, making your freebies available on the storefronts from which you only see a trickle of sales each month is actually harmful to your ability to use those free books to increase sales because there isn’t much selling potential there to begin with. As with any marketing strategy, offering free books with a plan is all well and good in its own right, but you’re only doing the job half-assed if you’re not tracking the data. An analytics account is a must these days if you want to do any serious sales tracking. This will allow you to see what is working and what is not. Where analytics are not possible, come up with a way to at least track some of the traffic to your free books, such as offering special deals/discounts that are specific to the products from a given sales hub. That way, when someone makes use of that deal/discount, you know where they got the freebie from. This won’t give you the full picture because not everyone will make use of the deal/discount, but it’s better than nothing.